March Air Reserve Base is located in north west Riverside County which, along with San Bernardino County, is called the "Inland Empire" region of Southern California. Riverside County encompasses an area of nearly 7,200 square miles, and boasts a population of 1.3 million people. Over the last decade, it has consistently been one of the fastest growing areas in the country. 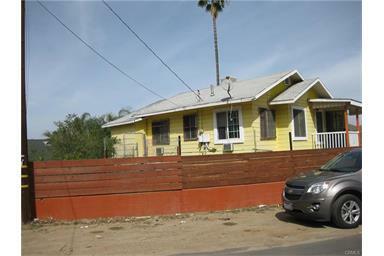 The base is situated between the cities of Riverside and Moreno Valley California. This is a high cost of living area in comparison with the rest of the United States, however, in comparison with other metropolitan areas of the state of California (Los Angeles/San Francisco/San Diego) the cost of living is lower. The base operator's number is 951-655-1110 or DSN 312-447-1110. On March 20, 1918, Alessandro Flying Training Field became March Field, named in honor of Second Lieutenant Peyton C. March, Jr., son of the Army Chief of Staff, who had been killed in a flying accident in Texas the previous month. In April 1923, March Field closed its doors and was reopened in March 1927. In the months ahead many Air Force leaders completed their initial flight training at March Field. From 1949 to 1953, the B-29 Superfortresses dominated the flightline at March Air Force Base and in 1960, the first Reserve unit was assigned flying C-119s. The first B-52B bomber, "The City of Riverside" came to March in September 1963, and the first KC-135, "The Mission Bell" arrived on October 4, 1963. For the next twenty years this venerable team would dominate the skies over what had come to be called the Inland Empire as the 22d Bombardment Wing played a feature role in the Strategic Air Command's mission. In 1982, the 22d became an air refueling wing with the new KC-10 tanker and the California Air National Guard arrived, bringing with them the F-4C's. In 1993, March Air Force Base was selected for realignment. As part of the Air Force's realignment and transition, March's two Reserve units, the 445th Airlift Wing and the 452d Air Refueling Wing were deactivated and their personnel and equipment joined under the 452d Air Mobility Wing on April 1, 1994. On April 1, 1996, March officially became March Air Reserve Base. 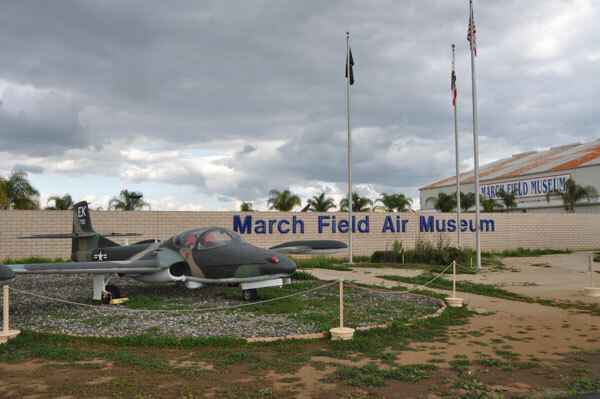 For more details about the history of March Field visit the March ARBhomepage. Team March is a multi-faceted team with numerous and varying missions. The host wing is the 452d Air Mobility Wing whose members are "professionals committed to excellence and to the highest state of readiness in support of national objectives; providing efficient and effective service while enhancing the environment, the installation, and its heritage in partnership with the local community". Team March is comprised of many diverse organizations such as Headquarters 4th Air Force, which directs the activities and supervises the equipping and training of Air Force Reservists in unit programs across the U.S., Alaska, Hawaii and Guam; the Air National Guard (ACC and AMC); Department of Homeland Security; Air Force Audit Agency; the Defense Media Center, comprised of the Television-Audio Support Activity (T-ASA) which designs, procures, installs, and supports radio and television, visual information, media archival, storage and duplication, and combat camera systems with commercial, off-the-shelf equipment and supplies and the Armed Forces Network Broadcast Center, the sole programming source for military radio and television outlets overseas in over 177 countries around the world; 653rd Regional Support Group (U.S. Army); and the Navy/Marine Corps Reserve Center. March ARB serves a large diverse population. Reservists (both ARTs and TRs), Guardsmen, and active duty from all branches of the military have a presence on March ARB. The number of assigned personnel is well over 5,000. 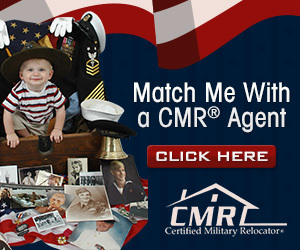 A civilian population of approximately 1,750 adds to that number and when the number of retirees and their family members served by March ARB is added, the service population number jumps to approximately 70,000.